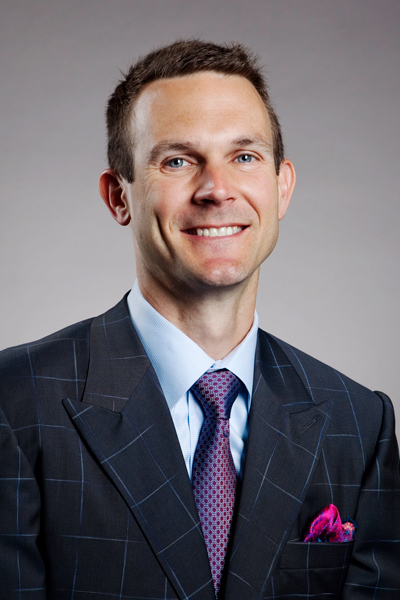 James Matthew Vaughn, senior vice president and general counsel of Par Pacific Holdings Inc., joined the company in 2014 after fourteen years in private practice at Porter Hedges LLP. Using his vast experience in corporate reorganization and restructuring issues, Vaughn has become an integral part of Par Pacific’s leadership team. It has also made him a perfect fit for addressing price fluctuations and changing regulatory and compliance requirements that simultaneously make the industry a complex, volatile, challenging, and highly rewarding environment. Houston-based Par Pacific Holdings Inc. is a growth-oriented company that manages and maintains interests in energy and infrastructure businesses. The company is organized into three primary segments: refining, retail, and logistics. Vaughn spoke with Profile about his transition in-house and how his experience as outside counsel benefits him in his role at Par Pacific. What advantages does having practiced corporate restructuring law bring to your role at Par Pacific? Previously, my practice focused on evaluating and structuring creative and complex capital and financial structures. This required a detailed understanding of associated risk created by or that was endemic in those structures. It also provided extensive exposure to the energy industry. The greatest advantage, though, is that I had the opportunity to work in something of a specialist/generalist practice. So, rather than being exclusively a litigator or an energy, transactional, securities, or real estate lawyer, the restructuring arena provided a much broader scope of issues to work with and on which to develop expertise. How does your outside counsel experience influence how you work with firms that are now filling that same role for you? When I was an outside counsel, the biggest benefit I could provide was creating a trusted advisor relationship that went beyond formal lawyer/client connections. Because I understood my clients and their businesses, I could anticipate their concerns, and when spur of the moment issues occurred, I was able to have real-time exchanges with them to offer the most appropriate and beneficial advice based on my knowledge of their operations and objectives. I was able to maximize their time and mine. I expect the same thing from the outside firms I work with now. Compared to other industries, is there anything about the energy sector that makes that type of relationship even more critical? Regulatory and compliance standards across a wide range of areas in our industry are relatively stable, but the tension of wholesale change always exists, and there are constant smaller fluctuations that can make big differences in operations. So, having outside experts we can rely on for real-time advice is extraordinarily important. For example, within the federal Renewable Fuel Standard, there are highly nuanced exceptions that, with proper guidance, refiners such as Par Pacific can leverage to help drive economic value to our bottom line. And when there are unanticipated changes about which our outside experts can provide advance notice, we can adjust deliberately rather than making decisions without appropriate due diligence. Because we’re a growth company, there are also situations in which we need a very quick response from our M&A counsel. There might be a complex financial structure we’re considering for an acquisition, which typically occurs within an expedited time frame, usually within 4–6 weeks. But we have also completed transactions in as little as 2–3 weeks. Are there any particular elements or strategies that you’ve been able to carry over from your role as outside counsel to your current responsibilities? As outside counsel, I was part of the group that developed our strategy for emerging from bankruptcy in 2012. Part of that strategy involved the contribution of our predecessor company’s oil and gas assets into a new upstream joint venture entity, which also resulted in about a $1.4 billion operating loss carry-forward. To monetize that tax asset, we’ve continued growing to generate taxable revenue. Most recently, that has included acquiring Mid Pax Petroleum in Hawaii, one of the largest energy infrastructure networks in the state, with more than eighty-five retail outlets and four terminals. It’s also the exclusive licensor of the 76 retail brand. That transaction roughly doubled our logistics and retail network in Hawaii, which is served by a ninety-four thousand barrel-per-day refinery we acquired in 2013 from Andeavor, then known as Tesoro. In 2016, we also acquired an eighteen thousand barrel-per-day refinery and related logistics assets in and around Newcastle, Wyoming, that serves tourist areas in Wyoming and South Dakota. These all add geographic diversity while we continue our growth strategy, which provides access to advantaged feed stocks and a growing niche of refined products markets. This helps us hedge against market downturns since crude and product pricing in our Wyoming refinery is tied to the domestic North American market indexes, including West Texas Intermediate, as opposed to our Hawaii refinery, where we buy crude on a Brent basis and face product markets in Singapore. What have been the most significant changes for you since shifting to your in-house position? Part of my reason for the transition was to get more involved on the business side, but I’ve been slightly surprised by how little I end up actually practicing law. It was also slightly shocking the first time I was discussing an issue, gave my recommendation, and was then part of the decision-making, not asking a client how they wanted to proceed. It was like being a baseball player or manager. Instead of getting signs from the third-base coach, I was the one making the decision to bunt and have the runner on first steal second base.